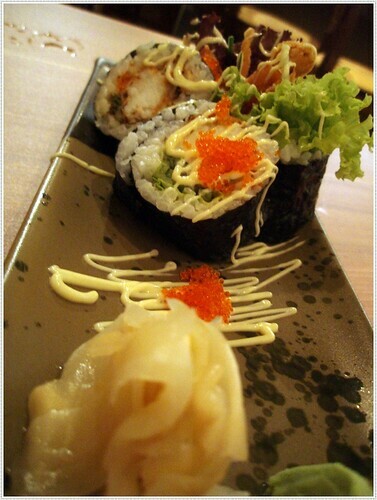 One of the hip gastronomy in Ipoh now is the current Japanese Food Culture which has practically hit feverish level. Its really amazing how many japanese restaurant opened in Ipoh lately (not that I am complaining). 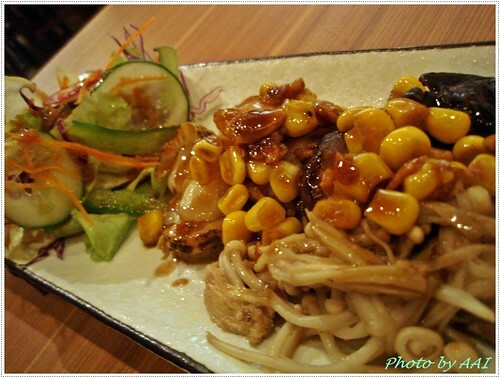 Our local Ipoh flogger - Motormouth's recently did a review of the newly opened Japanese Food outlet, Mokuren. So after being enticed by his post, decided to give it a try considering its interesting origin from Prague. 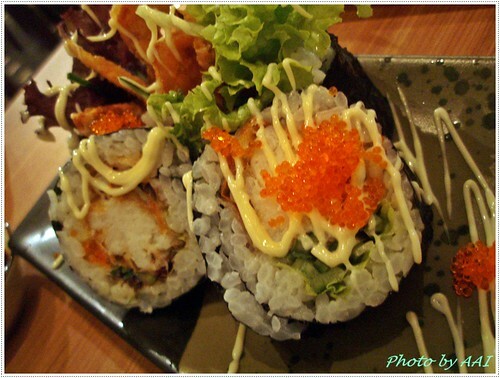 The shop owner must be very confident to even consider penetrating the already saturated Japanese cuisine market in Ipoh and more so when there are so many existing japanese food outlet nearby. Anyway, visited it for dinner and was initially confused by its menu which lack photographic illustration. As we are accustomed to pictorial menu, the menu at Mokuren posed a somewhat heavy reading. Luckily, the lady waitress was able to guide us along and recommend us some of the house specialties. Relying on the waitress' recommendation we were pleasantly surprised by its huge kaki no isoyaki (oyster cook in sake wine). Not overcooked and still retained its succulent creamy gonads enhanced by the sake wine. 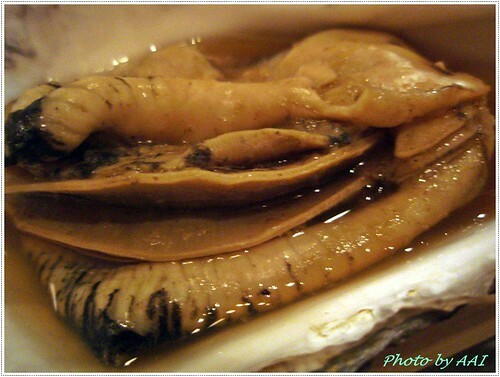 (Just in case you are wondering what is the gonads, its basically the part that give the oysters its aphrodisiac qualities) Btw for health buffs, it is suppose to be loaded with omega-3. 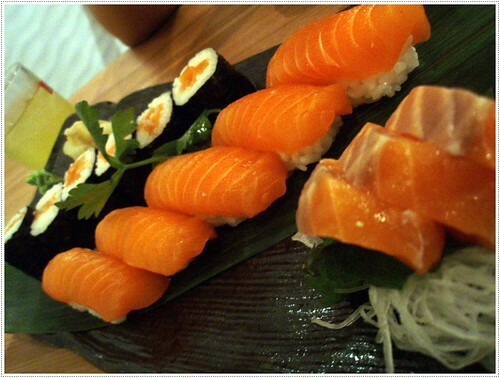 Salmon Set would nicely satisfy the salmon-loving customers with its 3 different rendition of the salmon by way of sashimi　（さしみ）, sushi （すし）and maki　（巻寿司）. One note from the waitress was that their salmon is chilled variety and not the frozen type. Butter Grilled Scallop（ほたて）with Shitake & Enoki Mushrooms was another satisfying dish even though it was a tad bit salty but would be perfect to go with a bowl of rice. Tempura Moriawase. 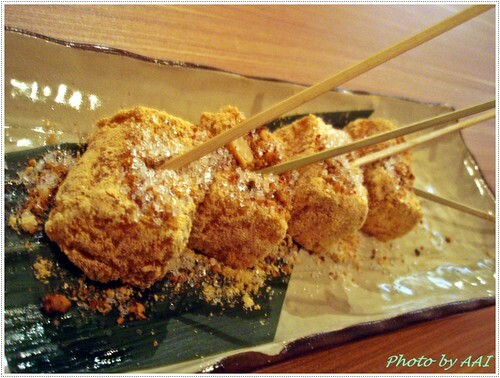 天ぷら - the chef was definately very generous with the grated daikon which was commendable. Note the huge pile of grated daikon. 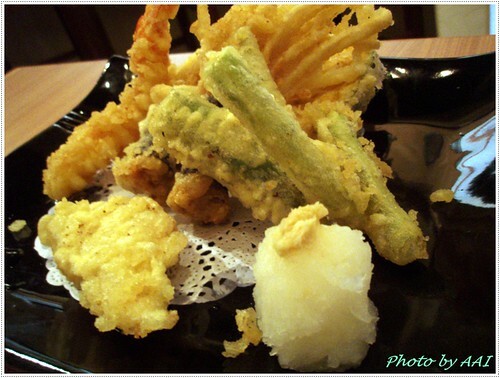 Don't you agree that tempura is never nice without a good dose of nicely grated daikon and a dash of grated ginger? And with the Dessert, concludes the first visit to Mokuren. Wait a minute, this is not the end yet. Like the cinema movies these days, a sequel of the Mokuren's gastronomic excursion was already in the making. So this sequel came about a week later and more surprise was awaiting. 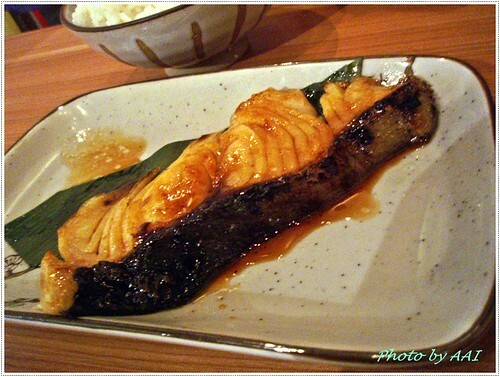 Gindara Teriyaki (Silver Cod Fish in Teriyaki Sauce) - One can not go wrong with cod fish and this version was nice. Portion-wise was rather small but goes very well with a bowl of gohan (rice). 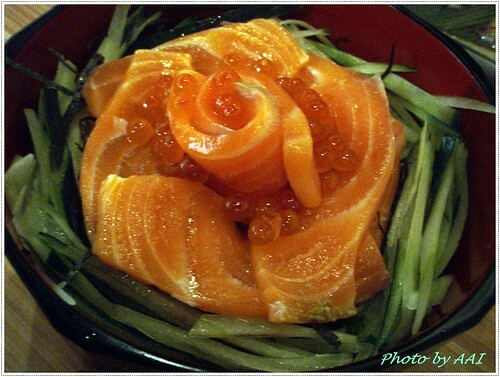 Sake Ikura Don is another dish that any salmon lover should not miss out. Generous pieces of salmon sashimi topped with savioury ikura (salmon roe) sitting on top of a bed of tsukemono and cucumber shreds was simply irresistable. The cucumber shreds were a bit too coarse, but it hardly dampened the charm of the salmon and ikura. 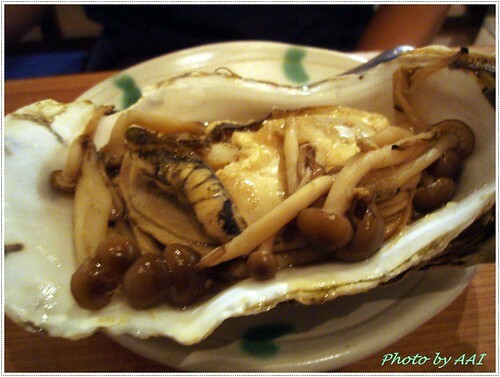 Kaki no Isoyaki - yupe its the same dish from the first visit, oysters cooked in sake wine. 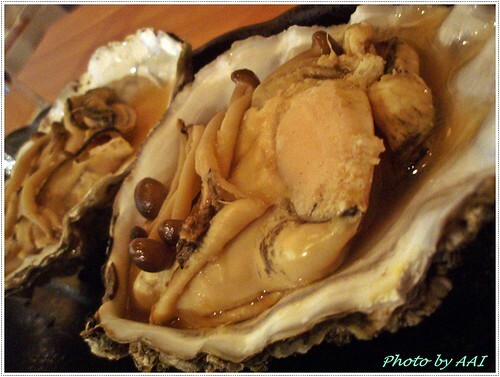 (nope i did not came back for its aphrodisiac benefits) This time the oyster was even larger than the first visit. A dash more of sake wine would have rounded up a perfect meal.